IN APRIL I MADE a blog piece about the Musée Carnavalet in which I featured the sound of its creaking wooden floor. Echoes of that piece returned recently when I went to the Musée National de Céramique at Sèvres, a suburb of Paris. 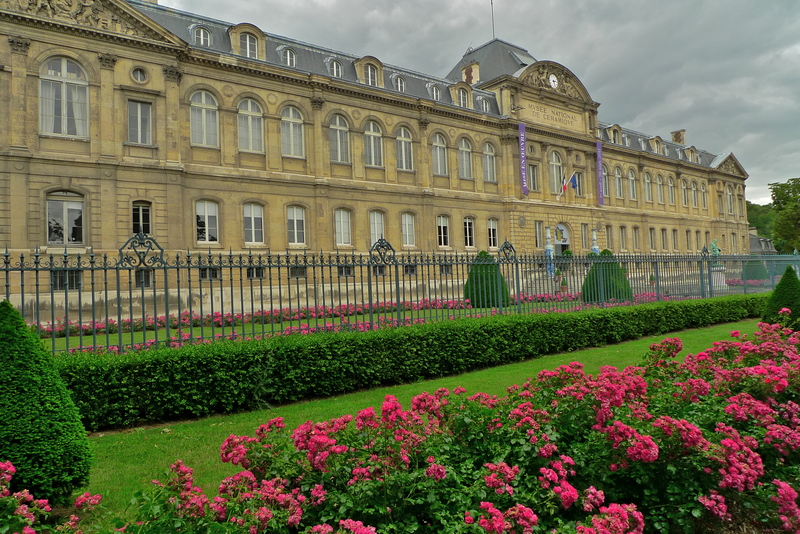 The Musée National de Céramique is one of two national treasures on this site. 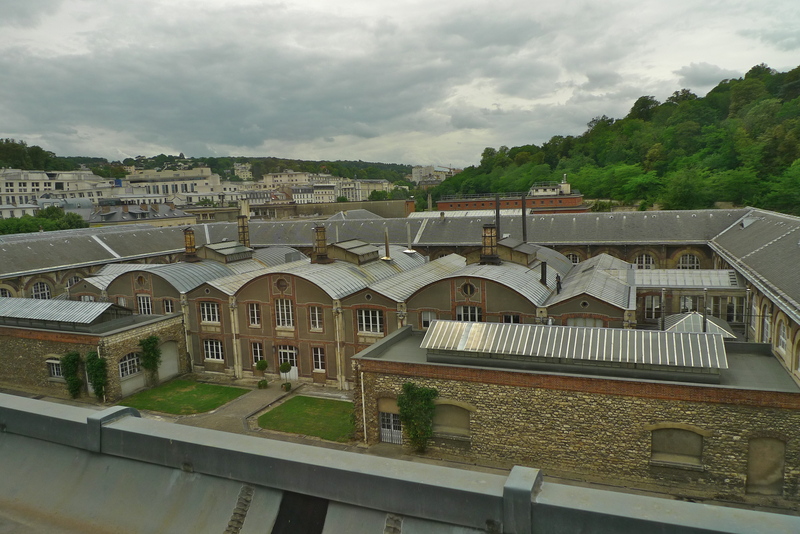 Hidden from view behind the museum is the other, the Manufacture Nationale de Sèvres – the still very active Sèvres porcelain factory. 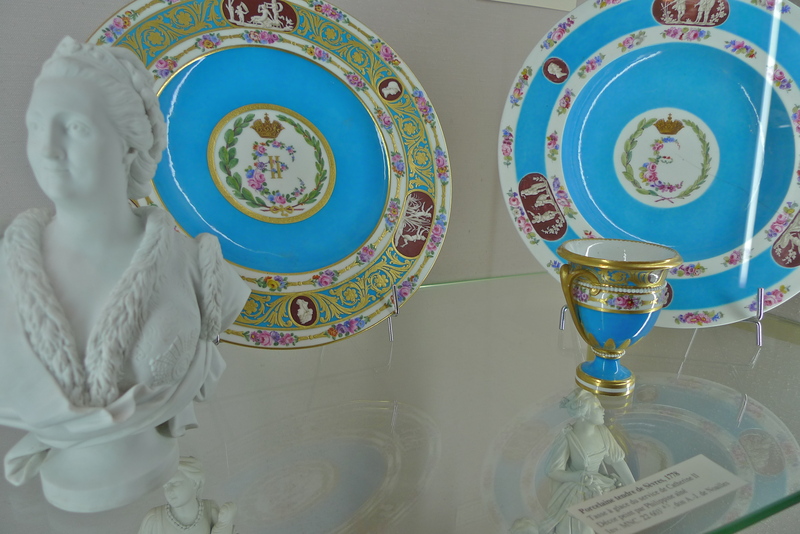 Production of Sèvres porcelain began on this site in 1756 after the original factory, founded in 1738 in the Chateau de Vincennes, ran into financial trouble and had to be bailed out by its biggest customer, Louis XV. Louis stepped in and secured the factory as Royal property and it has remained Royal and, from the time of the Revolution, national property ever since. Louis XV bestowed the name Manufacture Royale de la Porcelaine de France on the factory and introduced the famous double L monogram as the factory mark. It was with this Royal connection that Sèvres porcelain became the French porcelain of royalty and the royal porcelain of France. 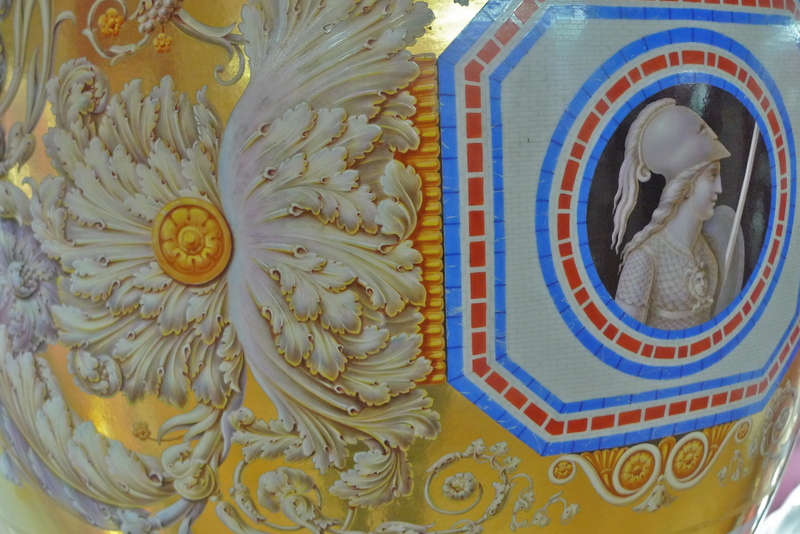 The Sèvres factory’s early work was made from soft paste porcelain, a material notoriously tricky to work with and more expensive than the other competing hard paste porcelains of Germany and England. In 1768, deposits of kaolin, the white clay essential in making hard paste porcelain, were discovered in Limoge. With this vital ingredient the Sèvres factory was able to produce hard paste porcelain as well and compete with factories like Meissen on equal terms. Sèvres porcelain is renowned for its exceptional glazes and deep background colours – royal blue (bleu de roi), turquoise (bleu celeste), pea green, and pink (rose Pompadour). Alexandre Brongniart was responsible for creating the Musée National de Céramique. 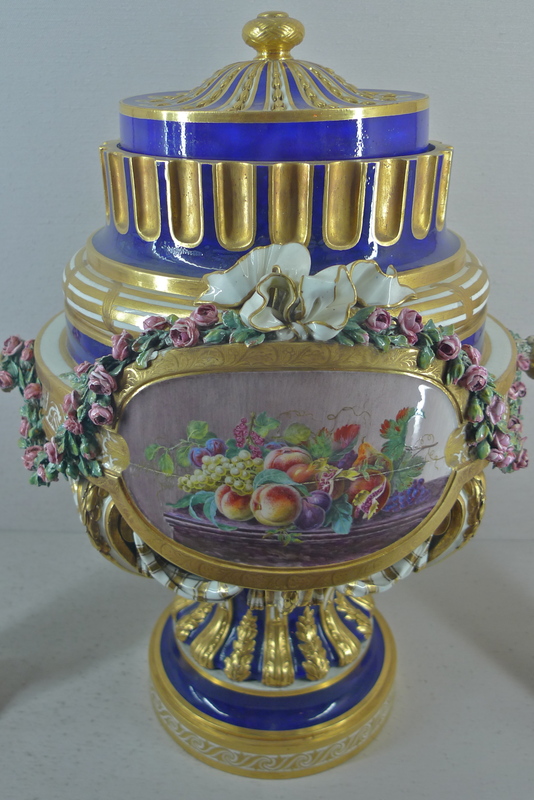 He became the director of the Sèvres factory in 1800 and for the next forty-seven years the factory continued to evolve and prosper under his guidance. 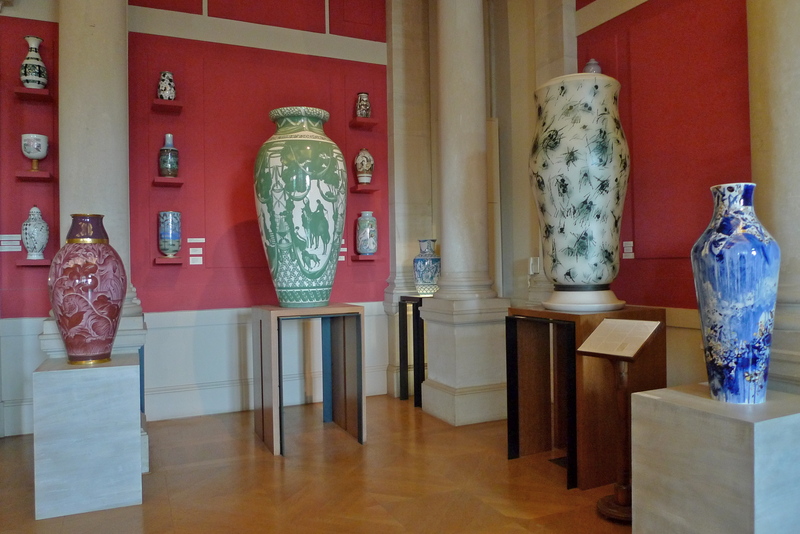 His idea was to create a museum to collect and study all fine ceramics not just those from the Sèvres factory. 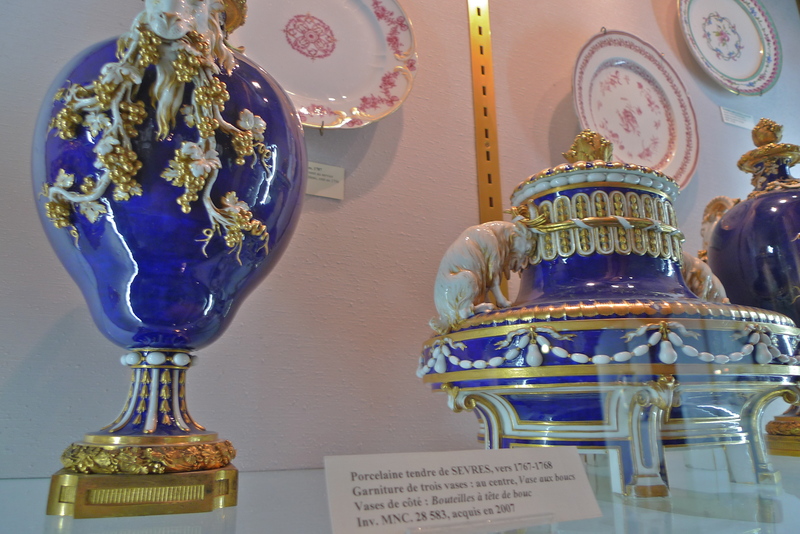 Today, the museum has a collection of around 50,000 objects from around the world about 5,000 of which were manufactured at Sèvres. Walking round this museum is an absolute delight; some of the objects on display are just breathtaking. There is a small charge to get in (it’s closed on Tuesdays), but it’s well worth a visit – you get to see some of the finest ceramics in the world and, as a bonus, you get to hear the wonderful sounds of the creaking wooden floor. The nearest Transilien station is Sèvres – Rive Gauche then it’s a five-minute walk to the museum. The nearest Metro station is Pont de Sèvres on Line 9 and then it’s a five-minute walk to the museum.